The tax payer drove up from Indianapolis IN. He has not filed a tax return in over a decade. He has not filed in such a long time the IRS does not have him in their computer system. The tax payer retained the firm to file his back returns, determine what he owes and negotiate a repayment plan. This client is the most basic of successes. He presented the firm a problem and paid the firm to resolve the problem. We are a results orientated company we strive to make a success story out of every engagement. The tax payer is from Ohio. He owns a sole proprietorship. The company is involved in the construction trades. The tax payer’s case had already been assigned a Revenue Officer. This particular Revenue Officer was rather agitated with the tax payer. The Revenue Officer went so far as to describe how lavish a home the tax payer lives in. The firm needed to file back tax returns otherwise, the Revenue Officer was going to levy the tax payer’s bank account. The firm filed 6 years of back taxes. The tax payer went from owing $70,000, to owing just over $10,000. This case was a smashing success. The firm has since advised the tax payer to form a corporation. The firm is working with the client to get the corporation’s books straight, and the tax payer is taking a payroll check. The relationship has been a fantastic success for the client and the firm. The client travels 50 weeks per year. This client needs help he has not filed a tax return in a number of years. We helped him identify his prior employers, and now we are preparing his back taxes. We have helped this client, we have been patient and we have worked diligently with him to get him compliant. He probably will not owe very much money. This is another client that the firm has had incorporate. The client now operates out of a corporation, he has a payroll check and a retirement plan. The tax payer lives and works abroad. He needed a couple of years of back taxes prepared. After we prepared the returns the client ended up owing $40,000. However, if we had not helped him with the foreign income tax exclusion, he would have owed $70,000 or more. Penalties and interest would have pushed the balance over $100,000. We saved this client tens of thousands of dollars. This was a smashing success story. If you have worked abroad, call the firm we might be able to save you some tax money. The firm had a meeting with a prospective new client Thursday November 19th. The tax payer has a really large problem. The IRS has decided the best method of collections would be a wage levy. The client hired the firm to stop the wage levy. Friday November 20th, the firm contacted the IRS to find out that the client has not filed an income tax return since 2003. You cannot stop a wage levy if the tax payer is not compliant. Monday November 23rd, the firm prepared all outstanding tax returns. The client still owes back taxes, but they are compliant and we can now work on a more appropriate repayment option. The taxpayer did not file tax returns or respond to any IRS notices for the past eight years until his paycheck was garnished. The taxpayer had some records but not all of them. The client was overwhelmed with what to do and sought advice from various tax professionals. We reviewed his account with the IRS to determine the steps needed to bring the taxpayer back into compliance. A couple of years were filed as substitute for returns, SFR’s, which need to be filed for audit reconsideration with the service. We informed the client of the IRS ‘s policy for non-filier’s, which left us with four years of tax returns to prepare. We prepared the necessary returns while evaluating our payment alternatives with the service in which to stop the garnishment of our client’s paycheck. We then established a payment plan for the amount owed for the past years and removed the IRS’s garnishment. The taxpayer had a series of economic chanllenges, which left her in a compromised situation with the IRS. The client had gotten behind on filing her tax returns ever since she took a distribution from her 401(k) and didn’t have enough taxes withheld to cover the tax burden. Before she knew it she had not filed a tax return in the last three years. We filed the missing returns to determine she owed approximately $32K. We contacted the IRS and put all the years into a single payment plan that was set up to be withdrawn automatically from the clients checking. The entire process took two weeks and our fees were less than $1500. Many people who have failed to file their income tax returns owe back taxes. Many of these people set up installment agreements to repay their taxes. It isn’t often that Tax Matters Solutions gets hired to prepare a bunch of back taxes and the client can afford to repay all of the taxes plus penalties and interest. But that is exactly what happened. We were hired by a taxpayer that was an over the road truck driver. He isn’t a truck driver anymore, he loves his new job and he knows that his boss would fire him if he found out about our client’s tax problems. Within 72 hours of hiring Tax Matters Solutions, his tax returns were prepared, filed and he had written checks to fully all balances due, taxes penalties and interest. 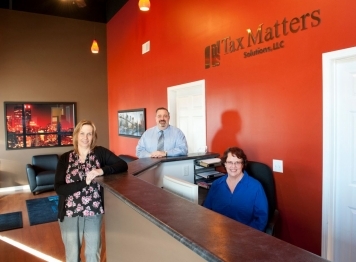 This is a success story for our client, Tax Matters Solutions and the taxing agencies.